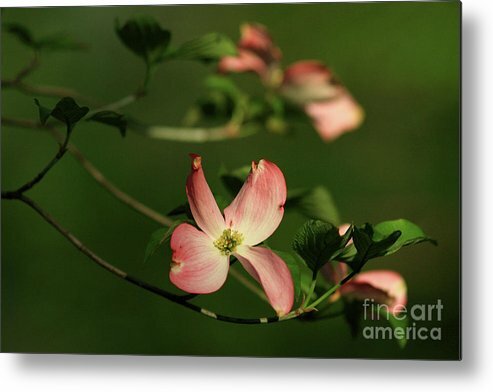 Dogwood In Pink by Douglas Stucky - 10.000" x 6.625"
Dogwood In Pink metal print by Douglas Stucky. Bring your artwork to life with the stylish lines and added depth of a metal print. Your image gets printed directly onto a sheet of 1/16" thick aluminum. The aluminum sheet is offset from the wall by a 3/4" thick wooden frame which is attached to the back. The high gloss of the aluminum sheet complements the rich colors of any image to produce stunning results. Beautiful capture! 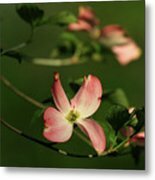 This will be the “Cool Colors” photo of the day on the USA Photographers group home page for 3/10/19! Awesome! Thank you very much Judy. We have a 14x11 print of this hanging above our loveseat! 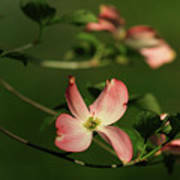 With a dark green mat and black frame the dogwood blooms really pop! Knoxville, TN, USA.